Black Friday Marketing Madness. Are You Taking Advantage? Blog Black Friday Marketing Madness. Are You Taking Advantage? Think that as a smaller business you’re going to be left behind this season? Think again! With pumpkins now lining landfills the last remnants of fireworks fizzing out, there’s still one major event that businesses and the public are bracing themselves for before Christmas comes swinging in at full force. With every shop now decked in tinsel and high-streets glowing with fantastical lights, plenty of people are starting to plan their Christmas presents. And what better day is there to get the bulk of their shopping done then on a day most notorious for its crazy sales? Cue a scrambling panic from both businesses and shoppers alike. With so many giants of retail flooding every platform with their Black Friday marketing, smaller businesses may find it a struggle to stand out, especially with campaigns from Very and Amazon shining almost everywhere when you look online or on TV. Even if you’re a smaller company, there is still plenty you can do to take advantage of Black Friday, even if you’ve never run that kind of sale before. Have a read of this blog and we’ll tell you all about getting your digital marketing prepared for the biggest shopping day of the year! While there’s plenty physical stores need to do to get ready for Black Friday, arguably there’s more to be done digitally. You should already be keeping your ad copy fresh and up to date throughout the year, but emphasising that you have Black Friday deals on is doubly important around this time. Not only will it need to be instantly engaging to anyone actively looking for sales, but you’re going to have a lot of competition when trying to stand out. Make sure the terms ‘SALE’ and ‘BLACK FRIDAY’ are front and centre in your ad, along with some details of your offers. A clear call-to-action is a must to ensure that users will follow through after seeing your ad. Competition for advertising spots on all platforms is going to be stiff over the next few days, so make sure to invest a little more than normal in your bids to better promote your sales. If you want to drive as many people as you can to your website/store for Black Friday, then make sure you’re taking advantage of the best advertising strategies that you can. One of the easiest ways to stay in the back of people’s minds is with a social retargeting campaign. Almost all social platforms have retargeting tools which will target ads exclusively to people who have already been to your website. You can even target to people who have visited specific pages, perfect for showing customers specific products they’ve already been browsing and pushing that they’re only going to be at such a great price for a limited time. If you’ve been working hard on your advertising then you better make sure your website is prepared for the influx of new visitors. As we’ve said numerous times, your website is basically your digital store front, so you want to make it as clear as possible that you’re having a Black Friday sale. Whether it’s a banner, showcasing your discounts down the side, or creating new relevant art assets to put all over your website, there’s plenty you can do to create hype around your sale. You could even add a timer counting down to the sale on your home page. Not only will this create intrigue and excitement around the sale, it will also add a sense of urgency and it reminds the viewer that these offers won’t be around forever. You should also prepare for the sheer number of visitors your website might receive, especially at peak times. Most customers won’t wait longer than 2-3 seconds for a page to load and if your website starts crashing you can kiss the money you may have made form that sale goodbye. Website speed is something you should be checking regularly anyway. Luckily there are plenty of tools available to test the loading time of your website, like this one provided by Google. Once all the cosmetic elements have been added to your website, make sure the shop side of it is also ready for the sale. With the race to improve mobile technology constantly speeding towards a never-ending finish line, more people than ever are buying things through their smartphones. Your website can have the slickest, most well-crafted website design and marketing for your Black Friday Sale, but if it isn’t optimised for mobile, then all that work has basically gone to waste. Having a mobile site design not only opens you up to a lot more traffic throughout the rest of the year, but it’s also great for SEO purposes. Make sure to also check that your payment system is optimised and easy to use. The last thing you want on the busiest shopping day of the year is a flood of customer complaints confused about whether their order has gone through or not. Here’s a simple but pertinent tip. Make sure you have enough stock. If you’ve done a similar sale before, then you should already have an idea of how much stock you should need as well as what kinds of products tend to sell out the fastest. If you haven’t, it’s always best to overestimate rather than run out of everything important halfway through the day. Even if you prepare, there’s still the strong possibility that some of your products will go out of stock. If so, this isn’t the end of the world as long as you have a plan. 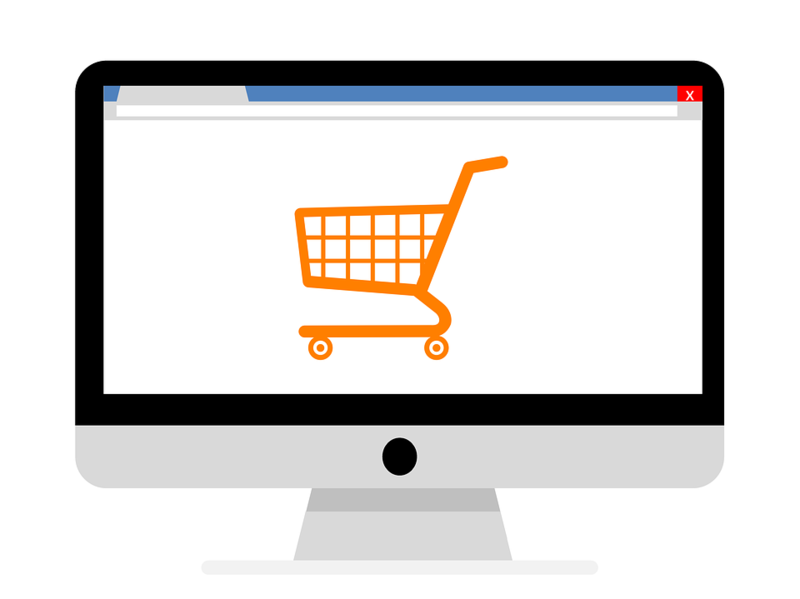 If a certain product does run out, you can still make use of the page by pointing customers towards similar products or other aspects of the sale to keep them on the website. Just make sure that these links are clear. If all the customer sees is a big SOLD OUT banner, they’re going to click off immediately. If you’d like any help with social media or general digital marketing then don’t be shy! Have a chat to us and we’ll help you create the perfect marketing strategy for you and your brand!